Juncker’s empty GMO offer – is TTIP already in force? "President Juncker has broken the promise he made to Europeans to improve the way GM foods are assessed. His new draft law is a smokescreen which fails to deal with the democratic deficit at the centre of the debate on GM foods. It is unacceptable that the European Commission will still be forcing GM foods onto the public at the biotech industry’s bequest." Continue reading >> "Juncker’s empty GMO offer – is TTIP already in force?" World Health Organisation classifies glyphosate (Roundup) as "probably carcinogenic"
Continue reading >> "World Health Organisation classifies glyphosate (Roundup) as "probably carcinogenic""
The researchers, from Germany, collected data and monitored over a 10-year period how far maize pollen can travel. Currently, European Food Safety Authority suggests buffer distances of 20 to 30 metres between GM maize and protected nature sites. The new research finds that maize pollen in fact travels up to several kilometres. To protect sensitive species, such as butterflies and moths, from the insecticide-containing GM pollen, the buffer distances need to be in the “kilometre range”, according to the study. Continue reading >> "Europe urged to halt GM maize production immediately"
The European Parliament today voted to grant national governments new powers to ban the cultivation of genetically modified (GM) crops in their territories. Today's decision by the European Parliament for the first time allows governments to ban entire categories of GM crops. Several groups criticised the flaws of this law. Especially about the formal role of biotech companies in the political decision of national governments to ban GM crops. Continue reading >> "European Parliament gives governments new powers to ban GM crops"
This verdict emphasised the absurdity of persecuting people who defend social and environmental causes by participating in an action of non-violent civil disobedience for forming a criminal gang. According to the Field Liberation Movement and all their supporters this action was necessary to denounce the undemocratic nature of decisions around GMOs. Indeed, the field trial itself was judged illegal in a Belgian court (but was nevertheless allowed to continue). The Belgian Green Party is now proposing a new bill that aims to make it impossible to sue protesters as criminal organizations. 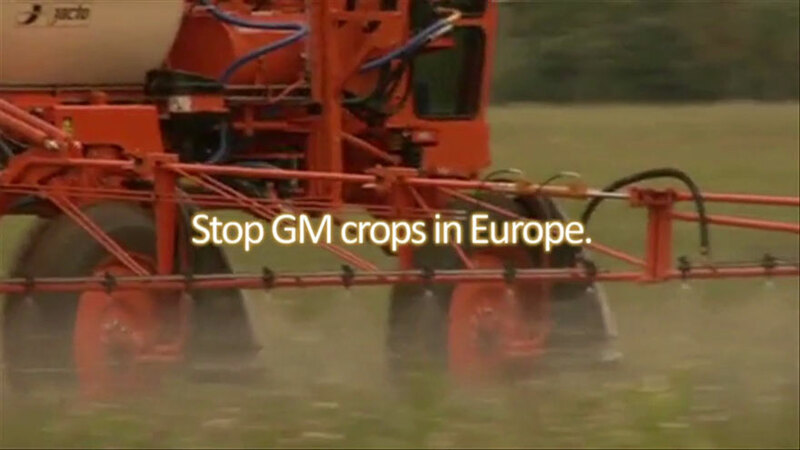 Continue reading >> "Belgian anti-GM activists acquitted of 'criminal gang' charge"